Buying property is tricky. Assuming one has, or can raise, the funds to finance a property deal, the next big challenge is ascertaining the credentials of the property. Are the documents above board? Is the ownership of the land, on which the property stands, indisputable? Caution should be exercised and the claims of the property seller – be it a builder or a reseller – must be thoroughly examined. This is your first step towards your dream house. Check the title deed of the land which you are planning to buy. Confirm if the deed is in the name of the seller and that he has full rights to sell that property. It is also advisable to get the original copy examined by a lawyer. In case the property is co-owned by two or more people, then be sure to get release certificates from each of the other people involved. A sale agreement is a document by which the property title is conveyed by the seller to the purchaser. Here, conveyance is the act of transferring ownership of the property from a seller to the buyer. With the help of this document, it can be ascertained if the property in concern belongs to a society, a builder, or a development authority of the area where the property is located. These taxes are due to the government and are the first charge on a property. Hence, make sure all such taxes are already paid and ask for the original receipts of the same. You can also enquire in the concerned government office to ensure that all taxes are paid till date for the property. This check is crucial as it may lead to legal complications and more expenditure in the future if all is not in order. If there is a house that comes along with the property, then be sure to also check house tax receipts. Before proceeding further, confirm that the land or house you plan to buy does not have any legal dues. To ensure this, obtain an Encumbrance Certificate from the sub registrar’s office where the deed has been registered. The certificate needs to state that the property does not have any legal dues or complaints. Many times, people take a loan from the bank by pledging their property. 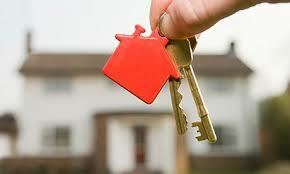 If that is the case with the property you intend to buy, ensure that the entire loan amount has been paid back. Do check the release certificate for the same. It is always advisable to measure the property before registration. You can take the help of a recognised surveyor to ensure that the measurements of the land and the boundaries are accurate. If the property is owned by an NRI, and the deal is being conducted by a third person holding a Power of Attorney, ensure that the said document of authorisation is witnessed and duly signed by an officer in the Indian embassy of the province to which the NRI belongs. Be sure to have a written, legal agreement done once all matters are settled – financial or otherwise. This will ensure that the owner does not change his word regarding the cost or other agreed upon amenities, or try to sell it to someone offering him a higher price. * The agreement should be written on a stamp paper of at least Rs.50 value. * The agreement statements should include information such as the actual cost of the sale, any advance amounts paid, the time period designated for the actual sale to take place, and how any default from either party should be dealt with in order to cover the loss. * The agreement can be prepared by a lawyer and should be signed by both the parties and two witnesses. * After signing the contract, if one of the parties defaults, the other party should have the right to take legal action. This is also a type of tax that must be paid in full at the time of registration. * A paid stamp duty is considered a legal document and can be admitted as evidence in courts for resolving any conflicts. * Stamp duty may vary from state to state. * When submitting an agreement is stamped, it needs to be undated and unsigned. The agreement can be executed only after the Stamp Office affixes their seal on the agreement. The process of recording a copy of a document, and of transferring the property rights, is known as Registration. It is a legal procedure done in front of a Registrar. A draft needs to be prepared before writing the final statements of the document on a valid stamp paper. Registration can be done after the agreement is executed by both parties. Do go through the registration document carefully and ensure all information is mentioned accurately.